Cai Kui is the man in charge who’s made Longfor Properties a revered name in the Asian real estat market. Longfor Properties has turned out to be one of the dark horses in the Chinese realty market. Wu Yajun, the chairman and wife of Cai Kui was ranked as the richest woman of China. Wu Yajun along with her husband Cai had steered the company with the only ethics of high turnover since the inception. it took as less as five months to secure the land for any project where the average time for the process is eight months for most of the companies. After completing studies in Bachelor of Arts and Science from Nanjing University of Aeronautics and Astronautics, this self-made entrepreneur got married to Wu Yajun and cofounded the company called Longfor Properties, which is a real estate development company. Today, Cai Kui is a bright name in the field of real estate development. Longfor Properties made its debut on the Hong Kong Stock Exchange in 2009 and the net worth of Cai and Wu was $4 billion. Headquartered in Beijing, today the market cap of this company is $7.64 billion.Longfor, today, has trading connections in Hong Kong, with more than 10,000 employees. Since 1993, this company has successfully developed 21 commercial projects and more than 100 residential projects. What contributed to the success of the company is their speed for work which works on the formula of 10% innovation and 90% duplication. With the help of the module-based products, it has been possible to recreate the properties at much higher speed than the rest of the competing companies. 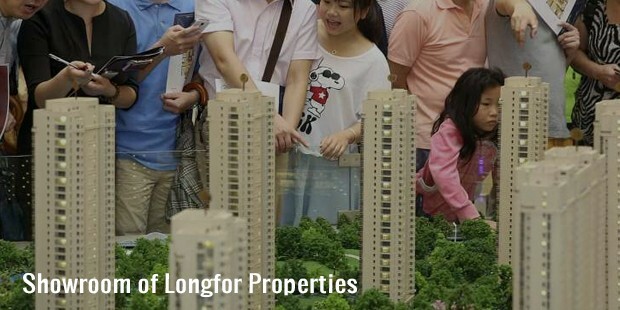 Boasting a 23% net profit rate in the first half of 2012, Longfor has been one of the most profitable real estate developer companies in China. In the 2014 Forbes China Rich List, Cai Kui has been ranked as the 70th rich person, which is down from number 42 as per the last year's ranking. 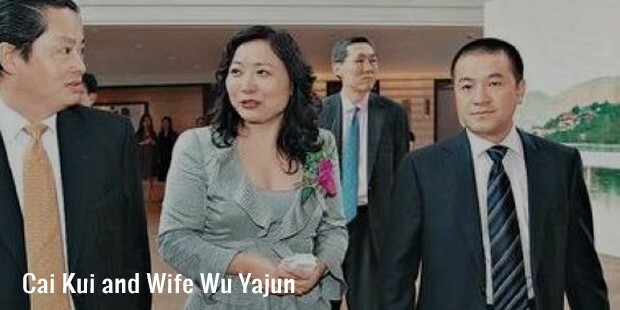 China's then-richest woman, Wu Yajun was married to Cai Kui. 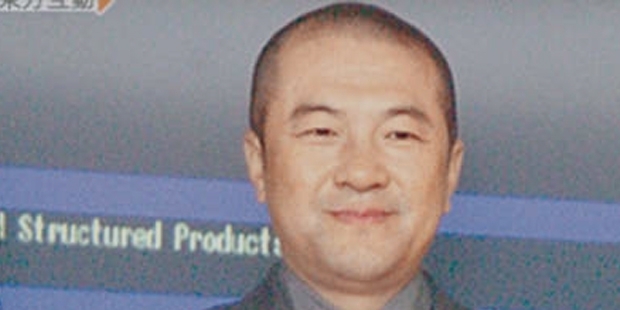 However, after their divorce, Cai became a billionaire himself by the year 2012. Although it was not clear when the couple actually filed the case for divorce but it has been speculated that on one of the company disclosure, the ownership structure was removed the word "spouse" which used to precede the name of Wu Yajun and Cai Kui in all the stake sharing documents. In 1994, Wu Yajun, who is a former journalist, cofounded Longfor Properties with her husband. This company turned out to be the stature of a national brand. The initial base for the company was at Chongqing.Though high-profile divorce cases lead to change of focus from that of business, but Cai Kui continued to work for the betterment of the company and showcased that it’s not impossible to achieve success even after traumatic experiences.